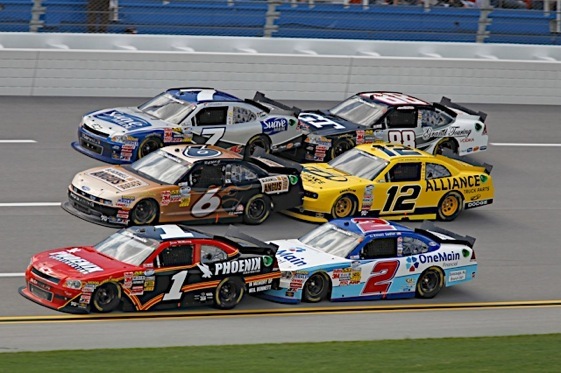 Talladega is back and so is the type of two-car drafting that made the 2011 Daytona so, um, memorable. It’s been called “Pairs Racing”, “Noah’s Ark Racing”, “Dirty Dancing” and, courtesy of Dale Earnhardt Jr., “Crap”. From the grandstands and couches, some fans liked it, some hated it, some think it’s boring, some think it’s cool. There is little debate about the fact that the very mention of it sets off emotions before and after the race in the garages. During the race? Well, the drivers kind of have their hands full so most just drive and cope and curse. And with drivers and teams hooked into the radios of other drivers and teams, the cursing should reach new levels of creativeness. There will be only one driver in today’s race who has made more than two Sprint Cup starts at Talladega and has had zero DNFs there. Who is it? 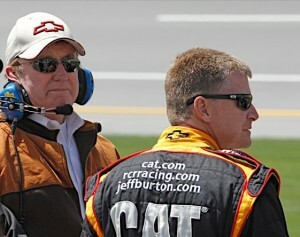 Last week, Carl Edwards threw his mom under the lunch wagon. 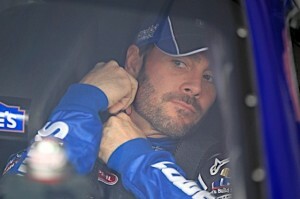 Edwards was sick during the race at Texas and when asked what the problem was, he said he thought it was a meal his mom had made him in his motorhome. flipped Carl Edwards car into the fencing. 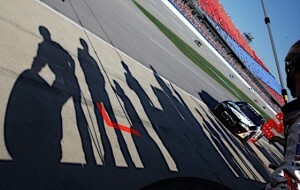 Keselowski continued on to get the victory. 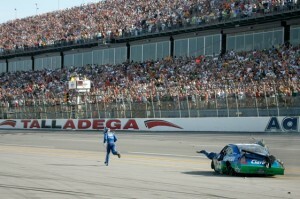 Edwards got out of his wrecked car and ran to the finish line ala “Talladega Nights”. Tony Stewart, of all people, was apparently asked to speak to college journalism students in Alabama recently. Kevin Harvick is the only active driver with two or more starts at Talladega who has not had a DNF at the track. The Cup Series takes next weekend off.